Who doesn’t love a good, hot, buttered crumpet? I’m talking about the snacks, you naughty things. English crumpets are irresistible at any time of the day. They’re great smeared with Marmite for breakfast, topped with fried, scrambled or poached eggs for lunch, or served with a little honey or jam for afternoon tea. They’re one of those foods that are like a great big culinary hug; especially good for a grey, drizzly day. Crumpets are similar to pancakes but more like a bread – they’re made with yeast – and they have a sponge-like texture with deep holes in the top; perfect for soaking up delicious butter as it melts into them. @france_normandy Moist and ready buttered. @MoreMangetout how about some softly yeilding flesh? Or warm butter dribbling down chins? Now I want some crumpets! @ginandcrumpets Crumpets are a bread sieve for butter, which fortunately does not sieve that well. So more of a butter sponge really. @MaisonCupcake Poke ’em with your toasting fork! @oliverthring Rumpy-pumpy with my crumpy. @suzler Ooh, smearing butter into every nook so it’ll dribble out all over your fingers with the first bite. I dread to think what you didn't print! Buttery holes indeed! You have Twitter friends with good imaginations (or sick minds – I'm not sure which). Either way, these crumpets look absolutely delectable and worthy of a limerick or two. I just realized that you didn't post a recipe. Will you share? Ha! I reckon half of them were on the booze when they came up with those ditties last night! I cheated with these and bought them, so sorry, no recipe to share! Well, now is one of those moments that I'll have to google a Julia's word as I'm completely missing the funny of the word… I feel in danger after reading her tweets ahahahahah. Now I am hungry. 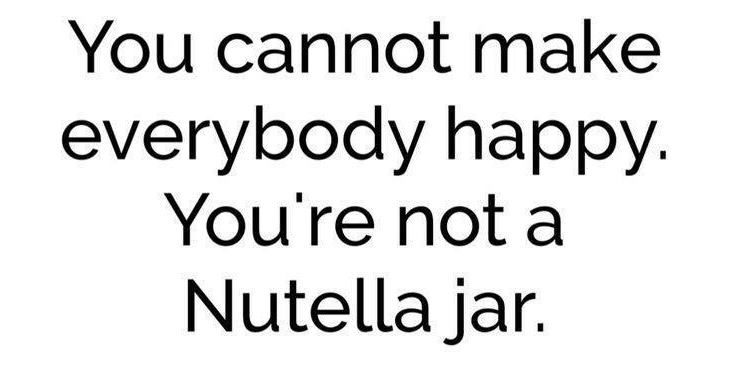 And only crumpet will do. How very dare you. Haha, Teresa it's good old British slap stick humour. Vic – I'm very sorry, lol! This takes crumpets to a whole new level:D I always have a stack of crumpets ready in the freezer. Any of the 'poems' that rhyme crumpet with strumpet get my vote! 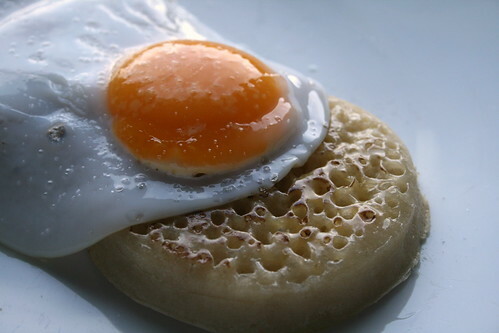 Love the orange yolk…and I hear crumpets. I often buy some when I'm in the UK and bring back to the Netherlands….but haven't done so for ages! It's Julia – the food lovers crumpet.